Can a “health food” eaten by millions really be dangerous? Canola oil and its derivative, rapeseed, are primary suspects for the exceptionally high incidence of Asian lung cancer. According to mainstream media though, canola oil is “good for the heart” offering viable monounsaturated fats similar to olive oil. Sadly, much of what we hear in the mainstream media and various “health” blogs has been influenced by aggressive marketing tactics of big food companies. For this reason, it is critical to know what websites to avoid and where you can go to get trustworthy and accurate health information. 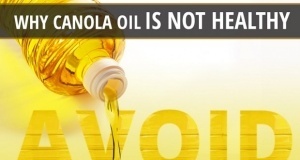 In order to understand how canola oil came into the marketplace, some historical background is needed.